Let’s discuss American made coolers this time. A lot of the time when we’re reviewing cooler we tackle the question of whether they are made in US or made overseas. Perhaps you wonder why this is so. 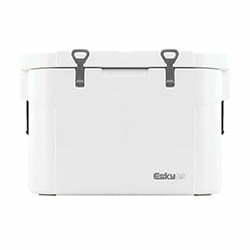 Well, if you’re generally not concerned with where a cooler is made for patriotic and other reasons, then it might seem pointless to mull over the origins of a cooler, so long as it performs well, looks good, and is easy to use. Is Yeti made in the USA? On the other hand, if you are a fierce patriot, it will be important for you to know where the cooler you enjoy came from. You will want to support the local economy and so you will be partial to locally made coolers. We decided to dedicate an article to the discussion of coolers made in the US, what all the hype is about them, and which brands are primarily American made. If this kind of thing is important to you, then read on. USA made Cooler: Yes or No? The first and probably most important reason is patriotism. For some people, it just feels good to buy something that was made by a fellow countryman. It shows you love your country in a real and tangible way, namely the purchase of a product made by your fellow citizen. It’s a very sentimental reason to buy things, and may not have any economic or rational bearing if you think about it, but it is a good enough reason for many. It’s a good enough reason for quite a few of us here too. This is a legitimate economic reason to buy local products. If you think on a grander scale, buying something made locally means you provide the money with which the workers behind the making of that product will be paid. They will be able to then spend that money on other products and stimulate the economy, keeping the value chain flowing smoothly. 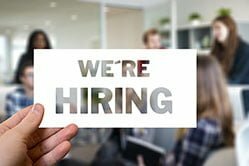 The local economy will grow and it will all come back to you eventually in the form of a better lifestyle, better public resources and benefits, and the overall satisfaction of living in an economically progressive country. You need to have a broad mind and an ability to see the bigger picture to appreciate this, but it is a legitimate reason. A lot of locally made coolers come from brands that have some kind of commitment to either hiring veterans or helping them out in some way. There are also brands like Taiga Coolers, which have actually been founded by veterans. Since this is a normally overlooked section of the community, buying their products means you are helping them in a real way. You also help the local community by supporting the companies that help build them with some of their sales proceeds. To be entirely fair, this is a bit of a contentious issue, since most overseas manufacturers can now match US quality for a lower price. However, for the most part, you will be getting pretty good quality if you buy locally. Let’s face it: local products are generally more expensive. Stuff manufactured overseas incurs a lower labor cost for the manufacturing company and so costs less for the end buyer. We’re flipping the coin on the claim made on the ‘Yes’ side of things. Some locally made coolers are actually pretty bad quality when compared to some of the stuff made overseas. 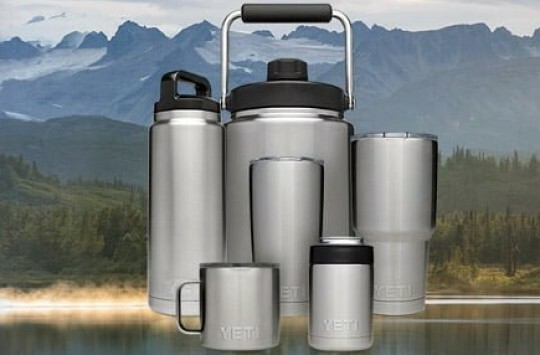 Is Yeti made in the USA? Where are Yeti Coolers made? The answer is that Yeti coolers are made in the USA, but they’re also made in other places, namely the Philippines and China. The Yeti FAQ page says that their Tundra line of hard coolers is manufactured in the USA, in Iowa and Wisconsin. However, they are also made in the Philippines. The Hopper line is manufactured in China. You do, however, have the option to purchase a Yeti that is manufactured in the USA if you call the number (512)394-9384. The truth is that Yeti didn’t start out making their coolers in the USA. They actually manufactured them in Thailand at first. It was one of the best coolers in the industry at the time. They later moved to a manufacturer in the Philippines. With rising demand for their coolers, Yeti had to increase their capacity, and so they contracted manufacturers locally in the USA. They happen to have partnered with some of the best manufacturers of plastic in the US and so the quality of their coolers is not compromised at all when manufactured locally. The best part of it all is that you can actually specify if you want a Yeti cooler that has been manufactured in the USA. All you have to do is call them. You can find out more about where Yeti manufactures their coolers in our article on Yeti hard coolers. How do I know where a particular Cooler has been manufactured? This one is pretty easy. Usually, all you have to do is look at the packaging of the cooler. Locally manufactured coolers will proudly proclaim it in their packaging. You can also check the description on the online store where you bought them or directly from the manufacturer’s website. The good thing is that manufacturers will usually proudly point out that their coolers are locally manufactured. If all of that fails, just check the review of the cooler on our website; we always mention if a cooler is locally manufactured to make it easier for you! Bison Coolers was the former Brute Coolers or Brute Outdoors, a brand that is based in Fort Worth, Texas. 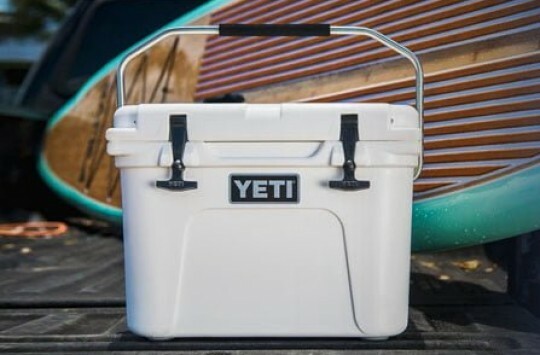 Their main premise is to build premium coolers that are comparable to the likes of Yeti while being primarily American crafted and yet affordable in price. They started manufacturing in 2011 and quickly rose to prominence, being especially loved by fishermen and hunters. 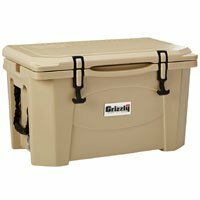 Grizzly coolers, as the brand name suggests, work really hard to make a cooler that is everything and does everything for everyone. Whether you’re going out for an adventure or you’re going for a casual family picnic, the idea is that you should be able to take your grizzly out with you and have fun. It’s a pretty good cooler with great features and a great price tag. It’s not breathtaking, but it’s good enough. The best part of it is that it’s manufactured in the USA. We love Orca because it’s always about how they measure up to Yeti in a showdown. This is a premium cooler brand founded by Cliff Walker and built up into an American giant. 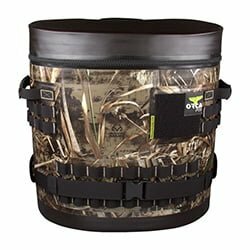 They make great coolers, both hard and soft, as well as other products. 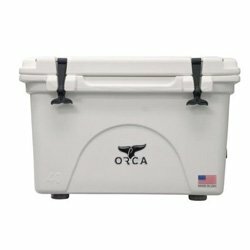 The one major advantage that Orca coolers have over Yeti coolers is that they are completely manufactured in the USA. 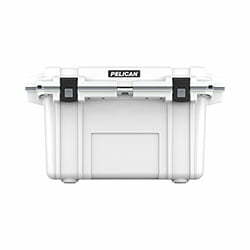 Pelican is a premium cooler brand that happens to be one of the heavyweights in the American cooler industry. They’ve been around for a long time, selling a lot of stuff, apart from coolers. This is one of the oldest brands in the cooler industry and so, understandably, they started out manufacturing their products in the USA. They still do, which puts them a cut above the rest. Orion coolers are pretty unique in that they pay attention to details and add the little things that make their coolers stand out from the coolers you find with competitors. You will love, for example, their well-designed website. You will also love the little thoughtful features they put on their coolers. Another thing you’re likely to love about them is the fact that their coolers are manufactured in the USA. 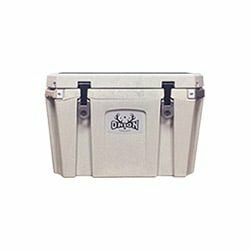 This cooler was made especially for outdoorsmen. It comes exclusively from the exclusive brand Coleman and so has quite a bit of reputation to live up to. If you’re going to be spending your time outdoors then you need to have the right cooler for the job; one that is tough, durable, and also has all the right features to make it convenient to use. That’s the main idea behind the Esky cooler and you can see in everything, from its adventurous looking exterior design to the neat little features added on. 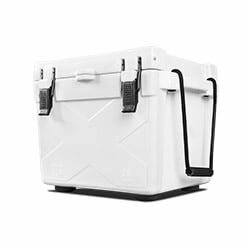 It comes in a variety of sizes, starting from the 55-quart cooler and ending with the 205-quart cooler. The best fact of all is that this awesome cooler is made in the USA. Igloo is a well-known brand that produces some pretty great coolers. 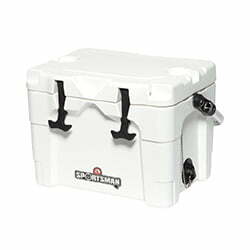 They have the Sportsman line of coolers that is focused on being a cooler you can count on for the toughest of situations. These coolers are designed to deal with the harshest conditions while having great ice retention and also a solid construction that is not only tough but likely to last through the years and be your faithful friend. They also pack a lot of features into their coolers to make them super easy to use. Best of all is the fact that these coolers are manufactured in the USA. 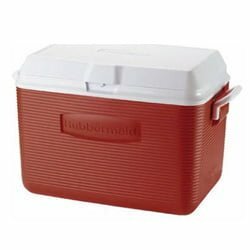 Rubbermaid coolers are well-known for creating a variety of coolers that cater to the different needs of different people. They have some options that are heavier than others, but they have plenty of options when it comes to capacity so you know you’re sorted no matter how much you’re storing. They also have some wheeled coolers to make it easy to haul around your cooler when it especially heavy. This brand was founded in the early 20th century and so it naturally started out manufacturing in the USA, which it maintains to this day. And many more which we will continually be adding to this list. Polar bears want you to have a cooler that’s as cooler a polar bear. We actually rambled on about the inconsistency here on the review we wrote, since a polar bear keeps warm, rather than cool. But you can find out more if you read the review. All we can say for now is that these are some great soft coolers that do their job well and keep your drinks and lunch just the way you want them, hot or cold. And they’re made in the USA too! 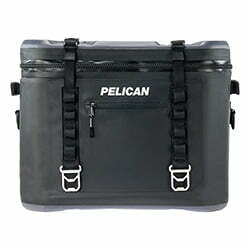 We already talked about Pelican when we were talking about great hard coolers made in the USA. So how well do they compare when it comes to soft coolers? Pelican is a large company selling lots of different products in lots of different industries. As it turns out, their soft coolers are pretty decent. They’re on the same level as soft coolers like Orca and Polar Bear in terms of performance. Our main qualm is the design. However, if you’re a functional individual then you should enjoy the performance aspect. You’ll also enjoy the fact they’re made in the USA. Here’s yet another brand we’ve talked about in depth in the hard sided coolers department. 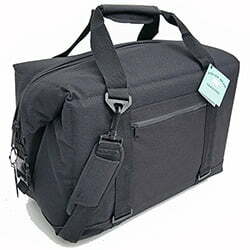 In the soft cooler department, they have their famous Pod and Podster coolers, which are some of the best backpack coolers we’ve ever seen. Both the design and the performance of these coolers are on point. They’re also made in the USA! You can read more about them in our review. So that’s all we had to say about American made coolers. What do you think? Do you think it’s a good idea to support manufacturers making their coolers in USA? Do you think it’s an archaic practice that has been overtaken by globalization? We’d love to hear your opinions in the pool and comments!